When you using Live Migration on your Hyper-V nodes and for authentication protocol Kerberos, you need set up kerberos delegation in ADUC. I had one customer, where service Microsoft Virtual System Migration is missing. 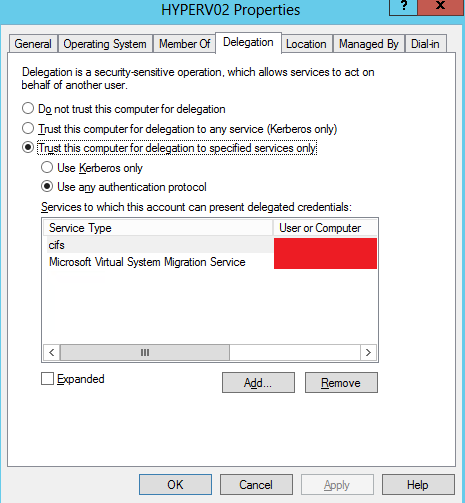 After running those commands you will see „MVSMS“ in the list of the services and now you can add for delegation using Kerberos.